Regular readers of VeloNomad how obsessed I am with hassle-free travel. After all, no one wants to be schlepping around in mobile phone shops when we should be riding and eating croissants, right? Over the years, I’ve tried different Prepaid France SIM cards. I’ve also had lots of emails from readers about hassles with different cards. But now, I’ve found a product that I think provides the best mix of cost and features, as well as being user-friendly for English-speakers. These new VeloNomad French SIMs give you cheap prepaid France data, cheap data in the EU and cheap calls and text in the EU. Including €30 of credit for data, calls and text, discounts for multiple SIMs and international express delivery for AUD$15, these VeloNomad French Prepaid SIM cards are the perfect solution. They run on the Orange network: in my experience, this gives you the best coverage. Even in the depths of the Pyrenees. No drop outs as you Tweet images from the Alpe D’Huez to your mates. Data packs for France and the EU: use your SIM outside France. Easy and instant activation: insert SIM, and you’re activated. No mucking around waiting for approval. Instant and easy top ups online: top up online direct to your card with credit or data packs. Simple, easy, no mucking around. 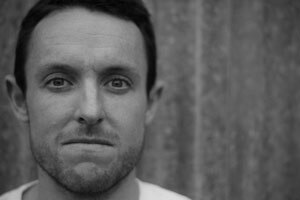 Data is used in data packs for the best rates. If you use your SIM without subscribing to a data pack you will pay PAYG rates which are very high. Calls/text do not need a pack. Inbound text/calls are free, as is voicemail! Easy top ups in-store: you can top up at Paysafecard outlets which are dotted around France. They’re often in tabacs and so on. In Bedoin, near Mont Ventoux, there are 4. Bedoin is a small village so there are plenty around. English website: no need for fancy translation apps or learning French. And you won’t have to worry about menus being in French. All apps are supported: no limit on web protocols. As you can see, these SIMs are very user-friendly. About the only downside is they do not support native MMS, yet. You can send MMSs using a data-based app, or iMessage (which uses the data network as opposed to native MMS). “Can I tether?” Tethering on smart phones is not officially supported but there is evidence of it working on some phone and OS combinations, like newer and older versions of Android. It may or may not work on iPhones/iOS but your mileage may vary. Officially, tethering is not supported. If you need multi device support, grab more than one SIM, or we can source a mobile hotspot for you. “Which network do these run on?”The SIMs run on the Orange network. “Will it work on any phone?”If your phone works on a GSM UMTS 900/2100MHz network, it will work on Orange. The 3G network is 3G (HSPA) & 3G+ (HSPA+). If you’re coming from the USA and parts of Asia, make sure your phone is GSM (not CDMA). “How much data will I get?” This depends on how much data you want! You can use some of your included €30 credit to purchase 1GB of data which costs €15 and last 30 days. “How much do calls, text and data cost?”You can find the tariffs below. For example, you can get 1 hr of calls + 85 texts + 1 GB for €30. Texts are €0.05 inside France and €0.15 outside Europe, so you if you just wanted SMS you could get 600 texts inside France or 200 if all sent outside France. “Can I use the SIM card outside France?”You sure can! You can add an EU data pack which provides cost-effective data within the EU. Calls and text are one low rate across the EU anyway. Got another question? Just contact me or download the fact sheet: Velonomad Prepaid SIM Fact Sheet. 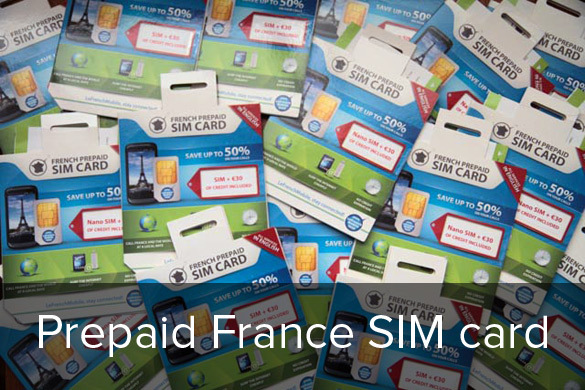 For the most up to date tariffs check here: http://www.lefrenchmobile.com/en/sim-cards-for-france.html. Mim is heading to France, is ducking into Italy and and wants to tether his family’s phones to one phone. They don’t need internet during the day, just at night. With these VeloNomad prepaid France SIMs, Mim can use the SIM in his phone during the day. He can share the network connection to his family as a personal hotspot (via Wifi or Bluetooth) at night. Mim could also put the SIM in his tablet or laptop (if supported) as use that to share the internet. For Italy, Mim can add an EU data pack to his SIM card which will give him cheap data in the EU. He can choose internet for 2 days, 7 days or 30 days for the EU. Ready to get a France Prepaid SIM? Step right this way. Priced at AUD$45 including €30 of credit, discounts for multiple SIMs.